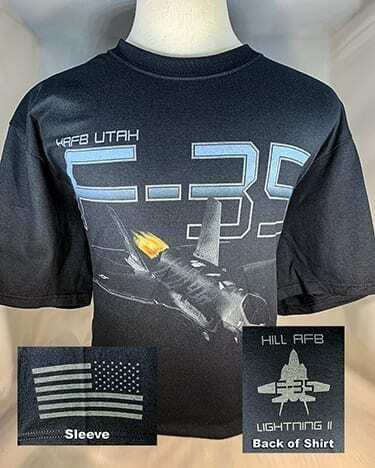 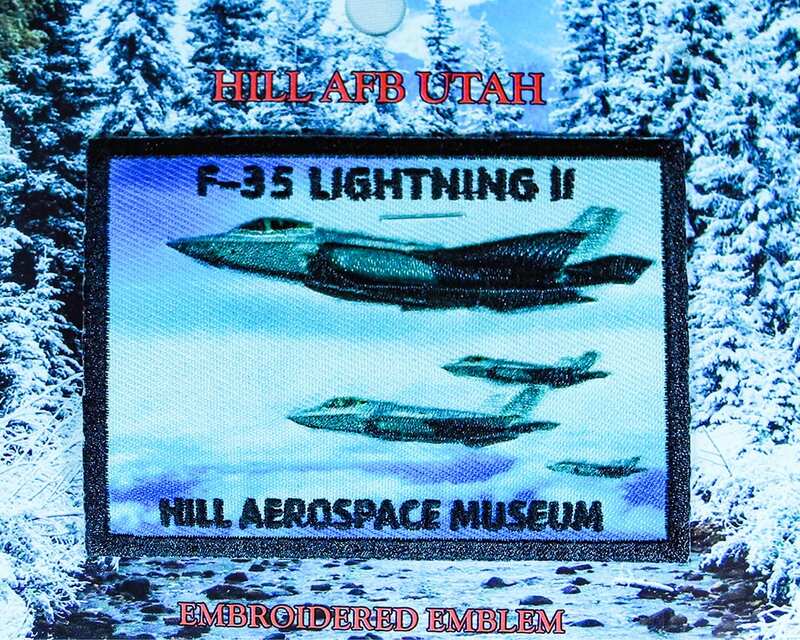 This Hill Aerospace Museum F-35 “Lightning II” patch was designed specifically for our Gift Shop. 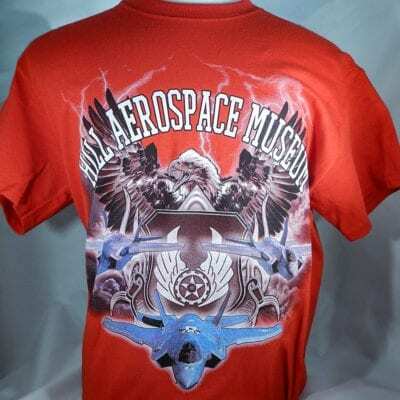 The F-35 wingspan is 35 feet, its length is 51 feet and its height is 14 feet. 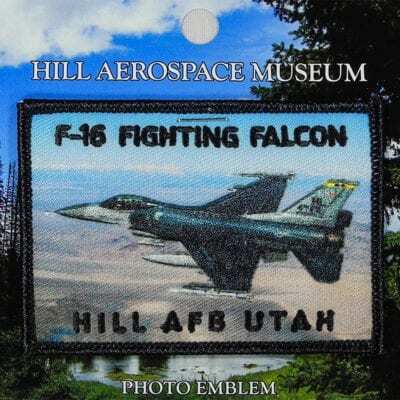 The F-16 can reach a speed of 1200 mph.